Today I am publishing the first in a series of pizza making posts. Let me start by saying… I LOVE pizza! This surprises me since I owned a pizzeria for 24 years and ate pizza several times a week. I have probably eaten thousands of pies. Yet I never grew tired of it. It is one of the perfect foods. And here is an interesting fact for you, when we closed Frankie’s (due to redevelopment), my pizza consumption dropped by about three-quarters, and my cholesterol went up. Go figure. Go eat pizza! Until now I had avoided posting pizza recipes because it really needs to be taught properly. But for me now the time is right. A side note here. For those of you who are hands-on learners, I offer pizza classes in your homes. So if you live in or near the Redmond, Washington area (near Seattle), gather some friends or family and schedule me to come and teach you in person. It makes for a great party! Information can be found on my website at… http://www.frankiesitaliancooking.com. If you saw my last blog post you know that I just completed an outdoor kitchen with a new wood-burning pizza oven. With this to cook in I am having more fun that ever. But just so you’ll know, there are multiple ways to make (and bake) a great pizza, so let’s get started. Pizza ingredients… which will include my favorite products for making quality pizza, especially cheeses and tomato products (because I believe these make or break a pizza). First let’s start with a little history of pizza, which can be controversial. 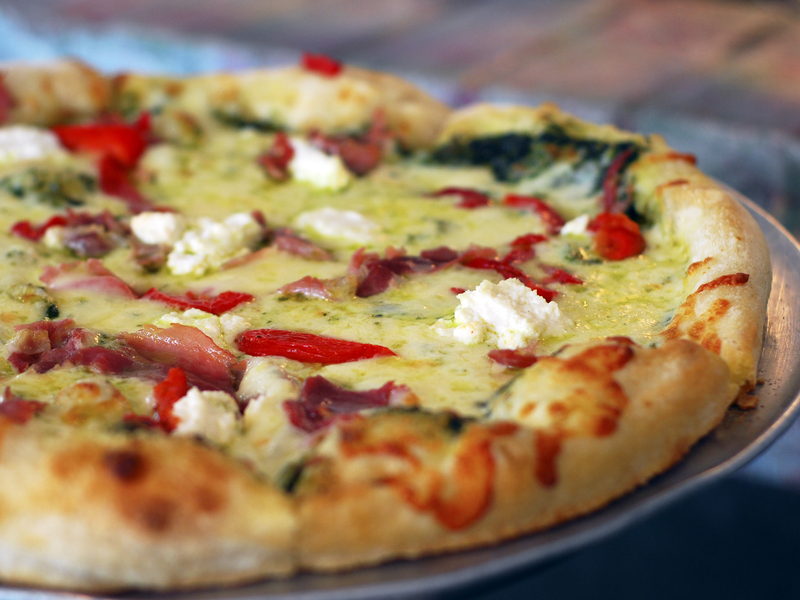 The history of pizza begins in antiquity, when various ancient cultures produced basic flatbreads with toppings. It’s been discovered that on the isle of Sardinia they were making it with leavened dough over 7,000 years ago. 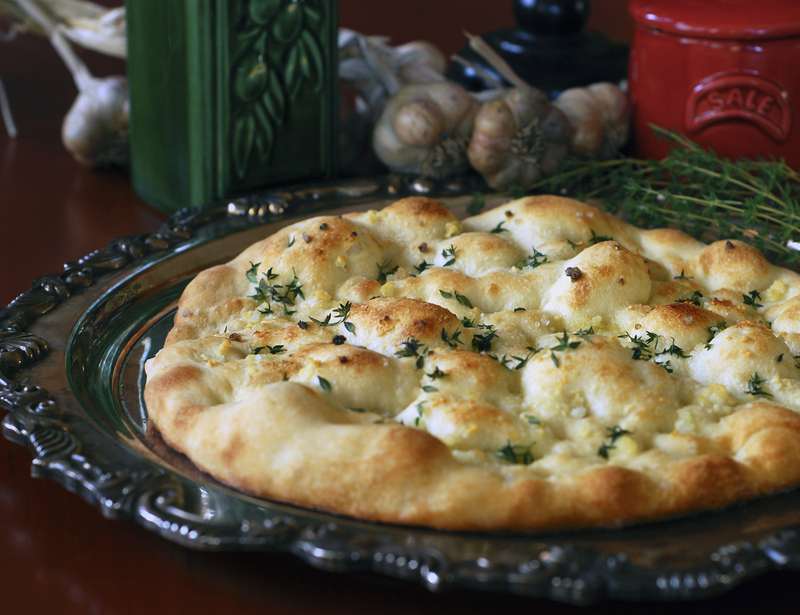 The ancient Greeks made a flat bread called Plakous, which was flavored with toppings like herbs, onion, and garlic. The forerunner of modern pizza was probably the focaccia, a flat bread known to the Romans as panis focacius to which toppings were then added. 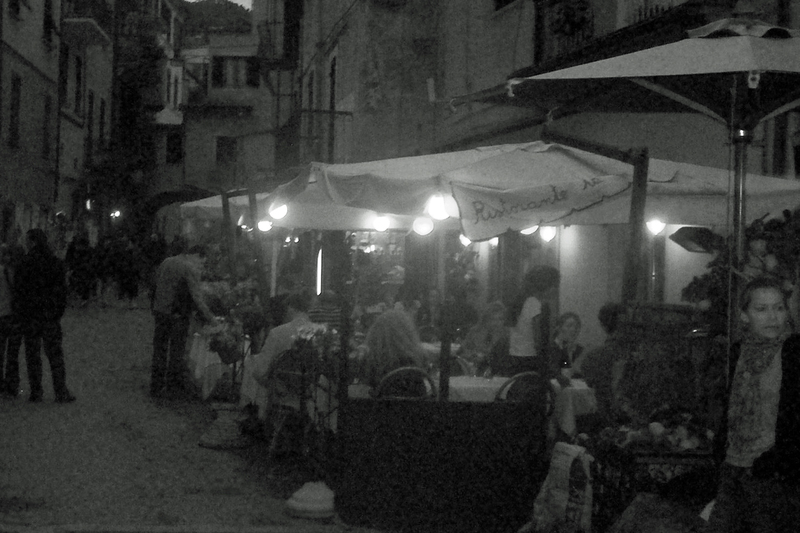 Focaccia is still hugely popular in parts of Italy. Most historians credit the Neapolitans though, the people of Napoli, as being the creators of modern day pizza, when tomato was added to the focaccia in the late 18th century. 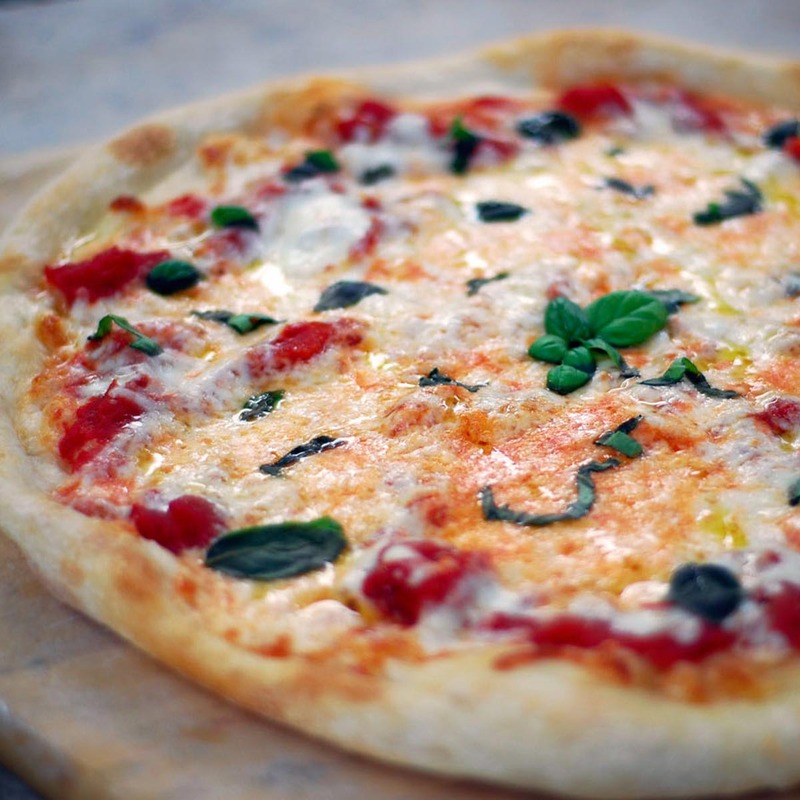 There is a well known story about how the Pizza Margherita came to be. According to tradition, in 1889, Queen Margherita of Savoy, and her husband, King Umberto I, were on a royal tour of Italy. This was only 29 years after the unification of the country. Throughout these travels, the queen often observed peasants eating large, flat bread with colorful toppings. Being curious she ordered her guards to bring her one of these so called ‘pizza breads’. Apparently she fell in love with it, causing some consternation in her Court (it was unseemly for a queen to dine on peasant food!). But the queen’s love was not to be diminished. Apparently word reached Naples, where they were to visit. 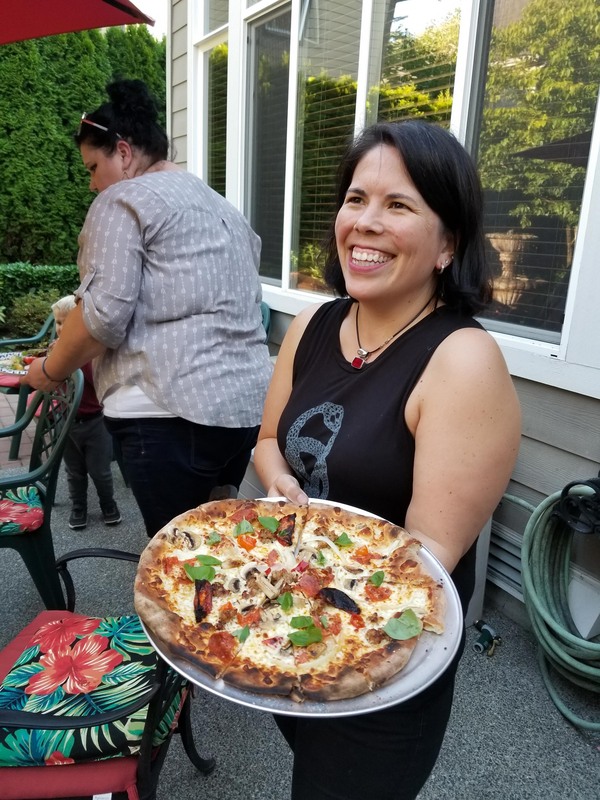 To honor their visit, Chef Raffaele Esposito and his wife, owners of Pizzeria Brandi, created a pizza resembling the colors of the Italian flag, red (tomato), white (mozzarella) and green (basil). They named it for the Queen “Pizza Margherita”. Some also say that he was the first to add cheese to pizza. This “cheesy” part of the legend is disputed however. Descriptions of such a pizza recipe can be traced back to at least 1866 in Francesco DeBouchard’s book “Customs and Traditions of Naples”. There he describes the most popular pizza toppings of the time which included one with cheese and basil, often topped with slices of mozzarella. Whatever the real origins of this pizza recipe are, one thing we know for certain is that Raffaele Esposito’s version for Queen Margherita was the one that made it popular. Since then it has grown into one of the most recognizable symbols of Italian food culture in the world. And in my humble opinion, whoever thought of the idea of adding cheese, is due great honor for one of the most brilliant ideas in culinary history. 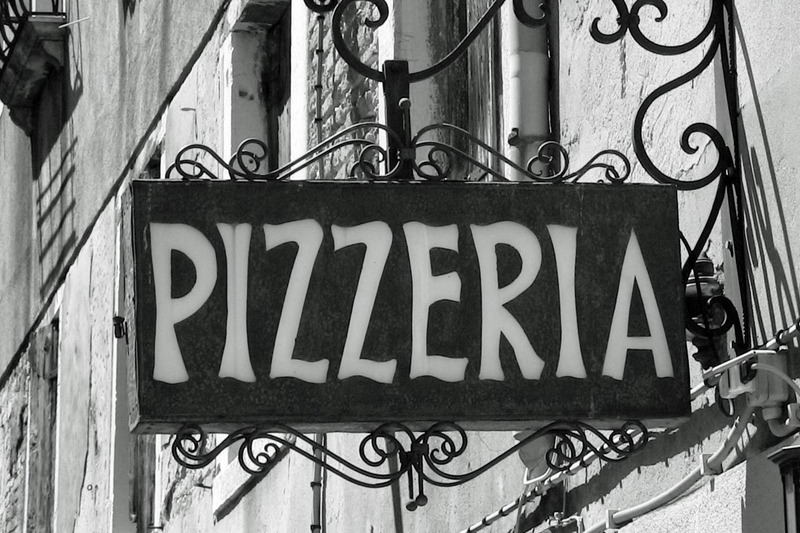 Going backward and then forward, we know the word pizza was first documented in AD 997 in Gaeta and successively in different parts of Central and Southern Italy. Pizza was mainly eaten in the country of Italy and by emigrants from there. This changed after World War II, when Allied troops stationed in Italy came to enjoy pizza along with other Italian foods. It is my belief that pizza has not only a glorious past, but a glorious future, and will remain a popular food for as long as mankind dwells upon the earth. And I hope there will be pizza in heaven! I have a feeling there will be. Very soon I will be posting more information, including my pizza dough recipe. Meanwhile there are a couple of easy ways that you can make a very good pizza without making your own dough. One is to buy pizza or bread dough from a grocery store. We recently wanted to make foccacia and did not have time to make the dough so we purchased bread dough from Trader Joe’s and it was excellent. Second is to buy pizza dough from a good local pizzeria that makes their dough from scratch. Most will sell it to you. The advantage of dough from a pizzeria is that it is usually made from flour specially formulated for pizza, providing optimum elasticity and pliability, which makes it easier to stretch and it does not tear as easily. But the key to either of these is how you bake them. 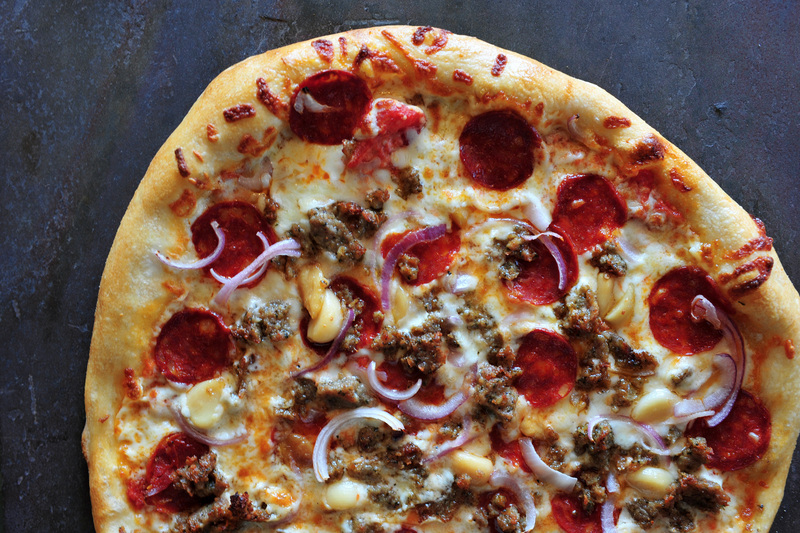 I strongly recommend a pizza stone (or pizza steel… see more below). About Pizza Stones: Unless you use a pizza stone, you will not be able to get the quality results you find in a great pizzeria. A pizza stone, if heated properly, will seal the bottom of the pizza crust quickly, providing superior rise, texture and crispness. Pizza stones have become very affordable and can be purchased at any good kitchen store or online. Sometimes you can find them packaged with a wooden pizza peel (which is the only type of pizza peel you need). Pizza stones are also great for baking rustic breads as well. And one other good use… if you ever do take-out pizza, and want it to be as fresh and hot as it is at the pizzeria, ask them to “half-bake” your pizza and leave it uncut. Bring it home and finish it on your stone. Your family will fall down and worship you! Pizza Steels: An even better, though more expensive option, is a Pizza Steel. They are just what their name implies, a heavy plate make of steel. They’ll run you about $70 to $100 (I bought mine on Amazon). These are relatively new and less well known but will give you an even better crust than a stone, especially if you want to make multiple pizzas in a session, as they retain and reflect heat better. 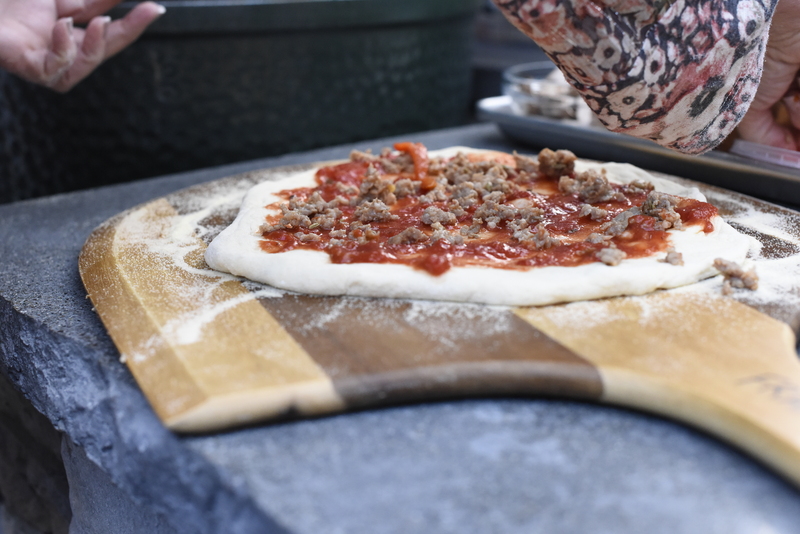 How to use Pizza Stones (or Steels): The key to using your pizza stone (or steel) is to get it really hot! I recommend a minimum of 45 minutes at 500º F (or even 525 if your oven will go that high). One note though—if you plan to put a lot of toppings on your pizza, reduce the temperature to about 485 F, or the bottom of the pizza will get overcooked by the time the toppings and cheese are properly cooked. 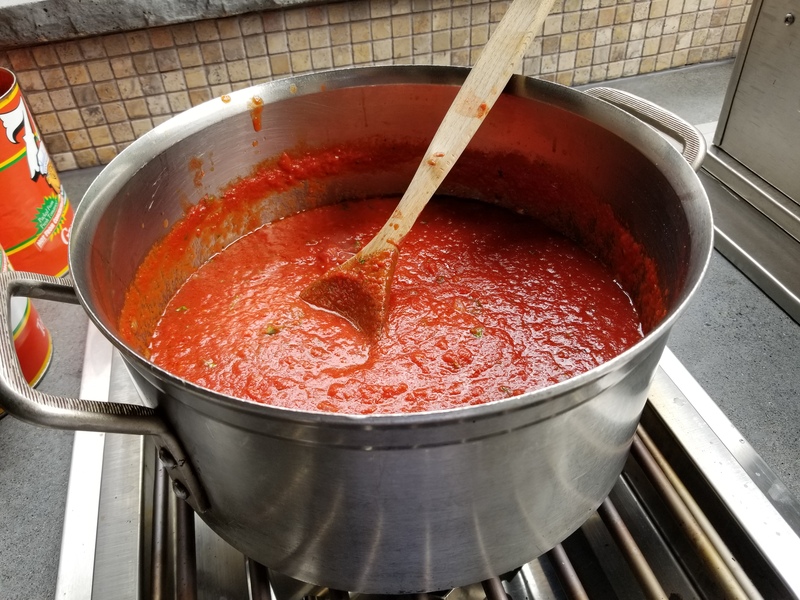 I feel like I need to include at least one recipe in this post so I am going to include my recipe for pizza sauce. My dough recipe will be in my next post. Use this recipe as a guide and adjust things like garlic, salt and herbs to your liking. I don’t even use a recipe anymore because I’ve been making it for so long. 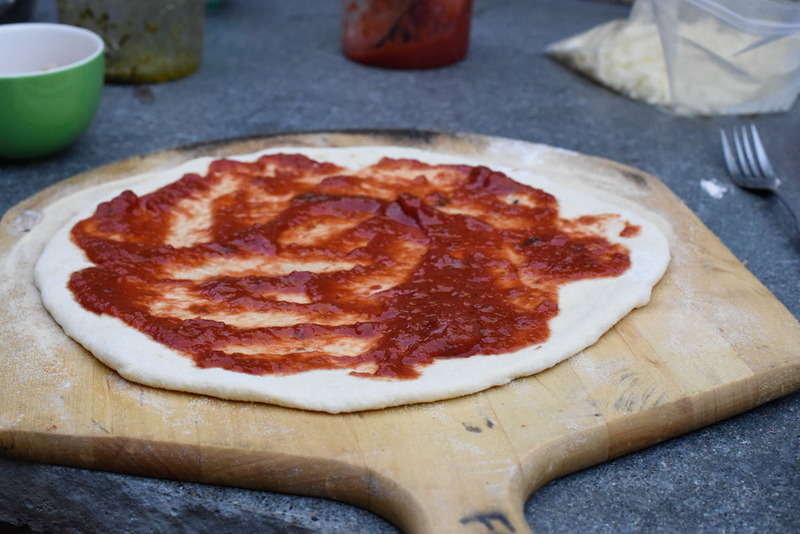 Tomato Notes: You can really make pizza sauce from almost any kind of tomatoes. Crushed Tomatoes work well, or Tomato Sauce (especially if you add a little Tomato Paste to either), but my tomato product of choice for pizza sauce is Tomato Puree. I like it for it’s consistency. The only problem is some stores do not carry many (if any) brands or sizes of tomato puree. You also may not be able to find the size can listed in the recipe. If not, just adjust the recipe accordingly. Have fun making pizza! I’ll do another post soon.